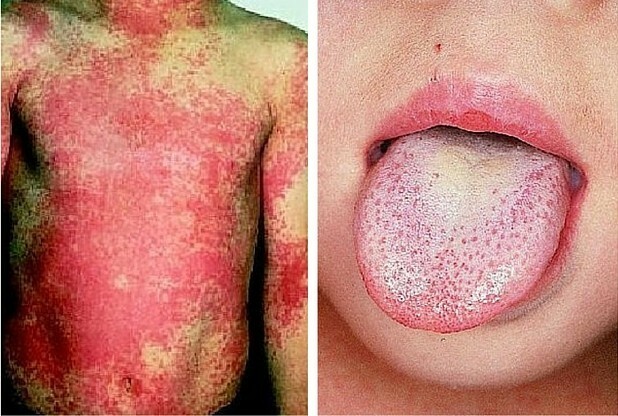 Doctors are warning parents to check their children for rashes and swollen tongues following an increase in outbreaks of scarlet fever. Parents should once again be on the look out for scarlet fever signs and symptoms following an increase in outbreaks across the country.Scarlet fever is mainly a childhood disease and most common in childrenbetween the ages of two and eight – although anyone of any age can catch it. Public Health England said scarlet fever usually reaches its highest levels in the winter before peaking in March, and there has been a rise in cases over the last few weeks. Here’s what you need to know about scarlet fever: Parents should once again be on the look out for scarlet fever signs and symptoms following an increase in outbreaks across the country. Scarlet fever is mainly a childhood disease and most common in children between the ages of two and eight – although anyone of any age can catch it. Public Health England said scarlet fever usually reaches its highest levels in the winter before peaking in March, and there has been a rise in cases over the last few weeks. Parents should once again be on the look out for scarlet fever signs and symptoms following an increase in outbreaks across the country. It is caused by a bacteria known as group A steptococcus (GAS), which are found on the skin and the throat, and results in a distinctive pink-red rash. What Are The Symptoms Of Scarlet Fever? The first symptoms of scarlet fever include a sore throat and fever which may be accompanied by a headache, nausea and vomiting. 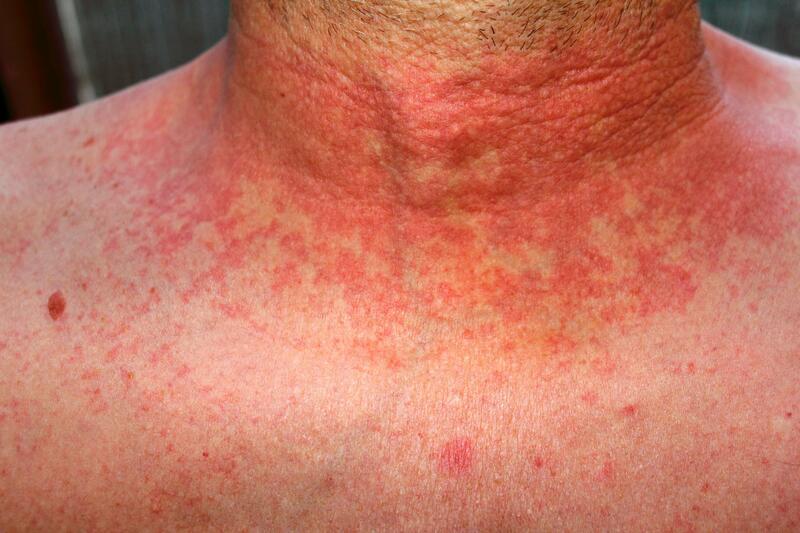 Between 12 to 48 hours after this, a widespread, fine pink-red rash, which feels like sandpaper when touched, will first appear on the chest or stomach. – A white coating on the tongue, which peels a few days later leaving the tongue red and swollen (this is known as strawberry tongue). What should I do if I think I have scarlet fever? Individuals who think they or their child may have scarlet fever should contact their GP as soon as possible. While it is not usually a severe illness, people who catch scarlet fever should treat it with antibiotics to reduce the risk of further complications and minimise the risk of spread of the infection to others. Children or adults diagnosed with scarlet fever are also advised to stay at home until at least 24 hours after the start of antibiotic treatment to avoid spreading the infection to others. How can I prevent scarlet fever? For families and friends caring for someone with scarlet fever, the risk of spread can be reduced through frequent hand washing and ensuring clothes, bedding, towels and cutlery are not shared between members of the household.